St. Mary’s University was ranked second in the West region in the Best Value Schools rankings by U.S. News & World Report, which this week released the 2019 edition of its annual Best Colleges guide. In the Best Colleges ranking, St. Mary’s tied for 15th of 140 universities in the West for academic quality, especially student outcomes. The University has been included in the list of top-tier regional universities for 25 consecutive years. 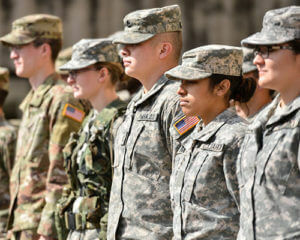 This year, St. Mary’s also tied for 8th among the Best Colleges for Veterans in the West, which includes schools that take part in federal initiatives to aid veterans and active-duty service members in funding their education. St. Mary’s University is a Yellow Ribbon School and opened a new Veterans Center in Fall 2017. U.S. News also ranked the University’s Engineering and Greehey School of Business undergraduate programs. 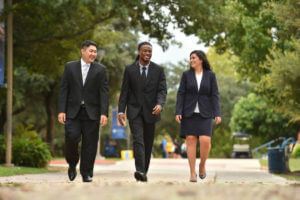 Money Magazine also recently ranked St. Mary’s fifth in Texas in its Best Value Colleges ranking. For more information, visit the St. Mary’s University honors and rankings page.